I’m going to come out and say it. 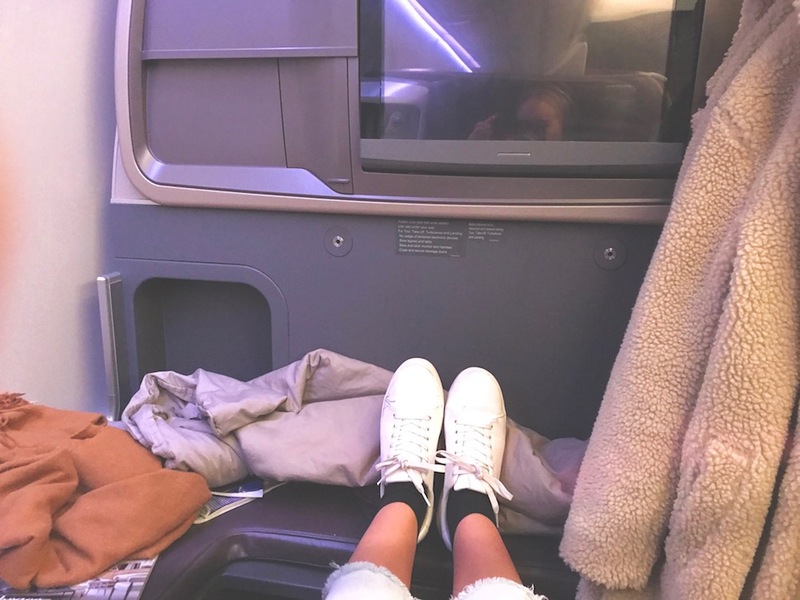 Singapore Airlines Business Class just might be the best biz. class by a (frequent flyer) mile. I hadn’t flown the airline for a few years until I was invited to review the new Singapore to Stockholm direct route last November. 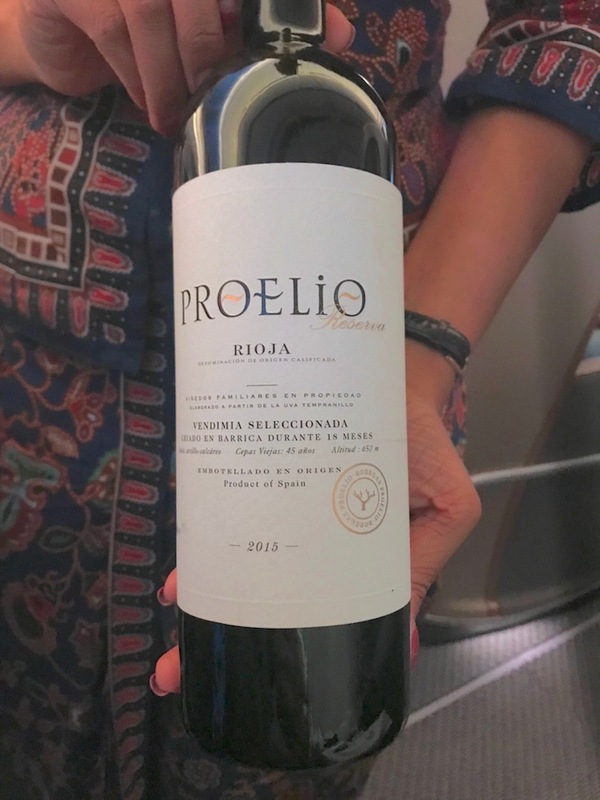 There was never a shortage of frequent flyers sparking pangs of jealousy while regaling the romanticisms of their own experiences with the airline, so to say I was only slightly eager to test-out the offering would be an understatement. 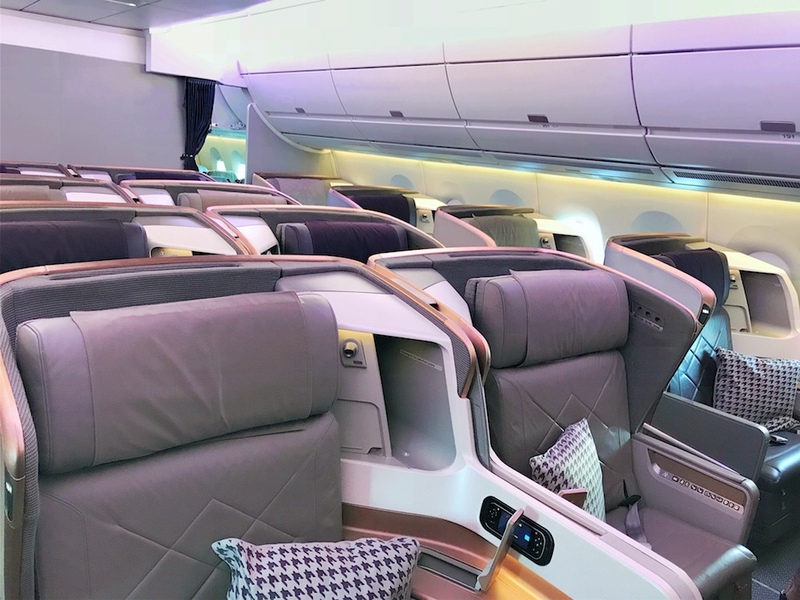 A regular fixture of these stories from my avi-geek friends was the Airbus A350’s next generation Singapore Airlines Business Class ‘pods’ (or ‘Thrones’ as I lovingly christened them). And I’m here to tell you that when I experienced ‘the Throne’ I almost shouted “Yaaas Kween” at the top of my lungs. I didn’t of course, that would have been wildly inappropriate. But I was close. There was just something about the criminally excessive leg-space and the perfectly attentive flight attendants that got me excited. Singapore to Stockholm. I did fly from Brisbane to Singapore on Singapore Airlines prior. Singapore Airlines market it as a “direct” flight but it’s worth noting there’s a one and-a-half-hour stopover in Moscow. This is somewhat frustrating as we disembarked the aircraft and re-embarked a short time later. Duration: 14 hours, not including the Moscow stopover. Frequency: Singapore Airlines operates five times weekly between Singapore and Stockholm (via Moscow). KrisFlyer – sadly for me not codeshare with QANTAS, but if you’re with either Virgin Australia and Air New Zealand you’re in luck. 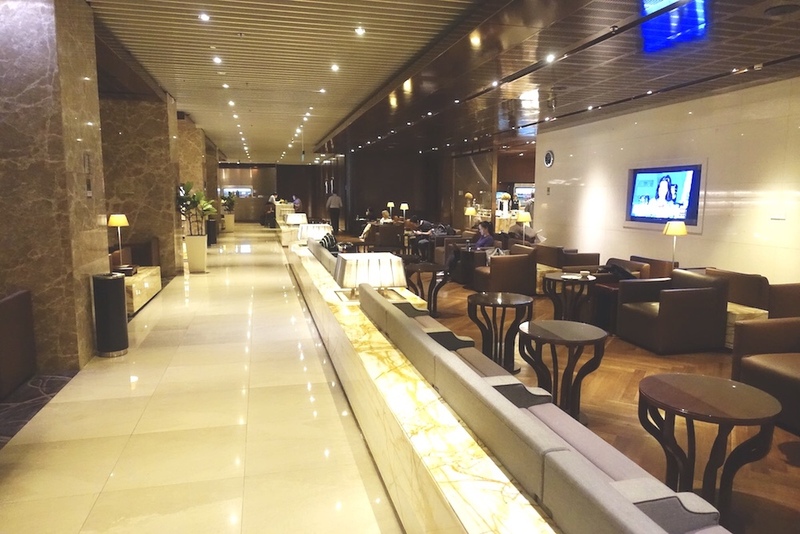 The Singapore Airlines Business Class SilverKris Lounge was really my first taste of the experience to come. Located in Changi’s Terminal 3, which is an absolute joy to walk around, Singapore’s flagship Lounge is even more of a joy to chillout in before a flight. While the QANTAS Lounge in Singapore provides an endless supply of alcohol** and shiny-sparkly design, the Singapore Airlines SilverKris Lounge is more demure, classy and luxurious… right down to the soothingly ambient lighting from the many lamps strategically dotted around the space. Some might argue the lack of natural light is a design-flaw however when on a layover, I’d rather not be inundated with bright sun or fluorescents staring down at me. It’s a large lounge so not prone to overcrowding, has extensive bathroom amenities and showers. What it lacks in food diversity, though, it makes up for in its yumminess. **Look I like a drink as much as the rest but the fact the QANTAS lounge hints that we’re an entire nation of drunks is a little disturbing. Airbus A350-900. Singapore Airlines has nine of these planes in its fleet, and another 58 on the way. The Airbus A350’s are the new darlings of the sky, but for me, in terms of actual plane-related passenger experience (think cabin-pressure, engine noise, humidity, the minimisation of jet-lag) the Airbus A380 still holds a special place in my heart. Oh, and they have on-board bars, people! I mean how is that never not going to be a gimmick? Even though on paper the A350’s exhibit better cabin pressure than the Boeing 787 Dreamliner’s (their direct competitor) as well as the A380’s, in my opinion the entirety of the A380 flying experience is just marginally better (aka, not feeling like a dehydrated prune upon touchdown). I mean regardless, I’m probably being petty and behaving like an actual Queen because all three are pretty damn great planes! Ahhh, the ‘Throne’. My dear, sweet self-contained fortress in the sky. You were definitely my favourite part of the journey and arguably better than most airlines’ first- class cabins of ye olden days! With a very generous seating width and pitch, I felt extremely at-ease sliding into my little piece of heaven for the next half-day. The pod is an adventure unto itself, and in the seated position is much more like a room with many compartments, curious buttons and sliding stuff. 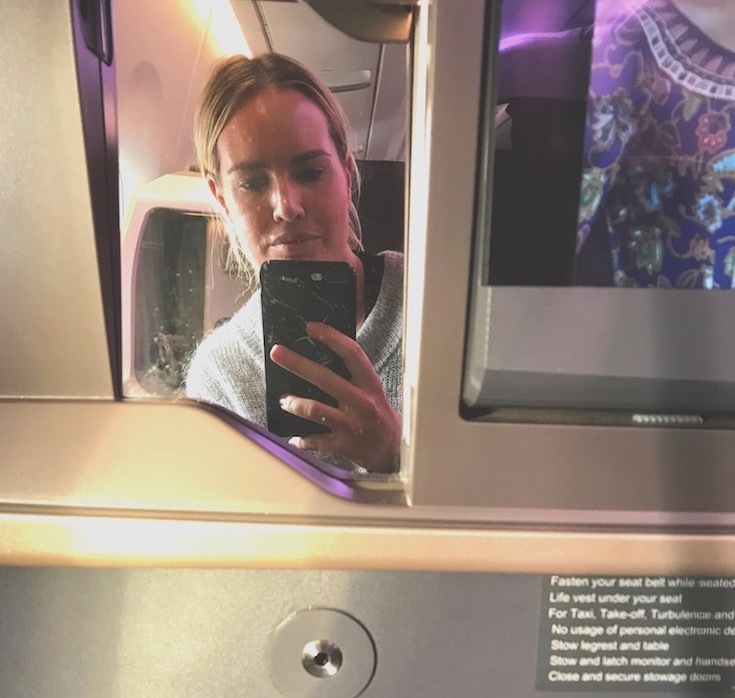 A special mention goes to the vanity mirror I found next to the screen – perfect for those “I’m flying Business Class!! !” mirror selfies or even mini-facials, if you’re so inclined. 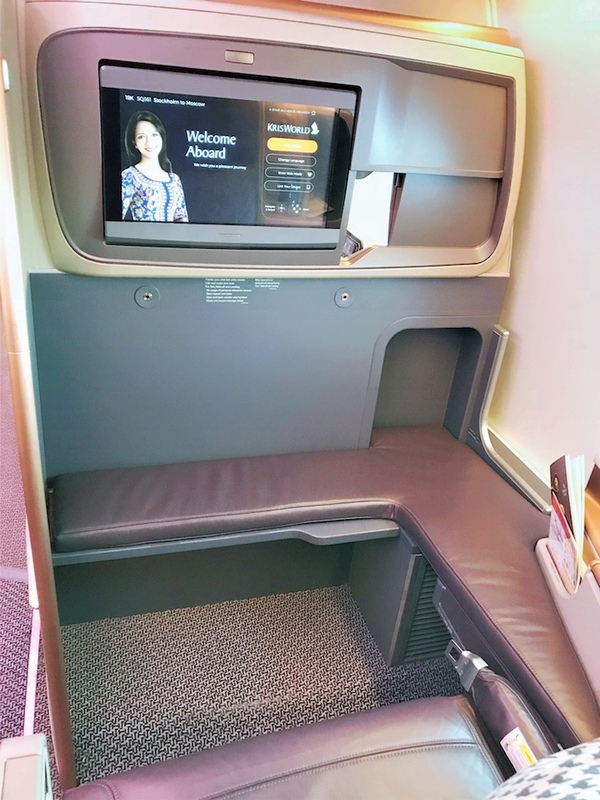 The Singapore Airlines Business Class Configuration is a 1-2-1 formation, so you’re not going to have any awkward moments tripping over someone’s limbs to get to the bathroom. as so happens with some other airline configurations on the A380. Singapore Airlines skimped on the vanity bag which I’m a little bit sore about. And when I say skimped I mean they provided only the basics like an eye mask, slippers and socks. Oh well we can’t have it all. However, I was happy to see toothbrushes and toothpaste available together with a vast array of beauty products in the bathrooms. Perfect for that aforementioned mini-facial. We’ve all been there. When benign service ruins an otherwise flawless hospitality experience. But what’s equally frustrating for me is when attendants are so obviously over-the-top animated I feel uncomfortable – here’s looking at you United Airlines. Singapore Airlines flight attendants are known for their impeccably well-balanced service, and during my flight they seemed to have a knack for knowing when I wanted their attention and when I wanted to be left alone. The flight attendants kept their boundaries yet didn’t hesitate to answer any of my questions or fulfil any requests I had, no matter how obscure. With their unquestionably sincere smiles together with their undeniable efficiency, I genuinely got the feeling “wanting to help” was in their nature. One of my pet hates with some airlines is when flight attendants forget about a query and just disappear into thin air, never to return. What the? This happens regardless of what class you’re flying. 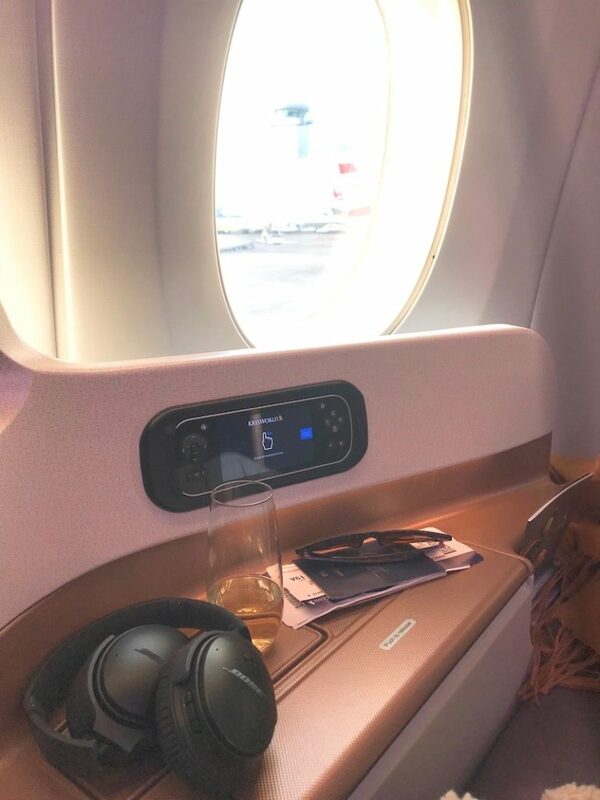 The Singapore Airlines Business Class flight-attendants always made a point of coming back and addressing me, I felt valued without being coddled and that’s why they are known for having a level of service a cut-above the rest. Can we just cut to the super extensive wine list and the cheese cart, please? Okay okay, just so you know, not only did I never go hungry on this flight, I got actual silver service from the moment the attendant dressed my larger-than-normal Throne table with crisp, white linen and real-metal knives (none of that plastic rubbish) to the moment I was chowing down Seared Beef Fillet with a glass of 2015 Spanish Tempranillo. 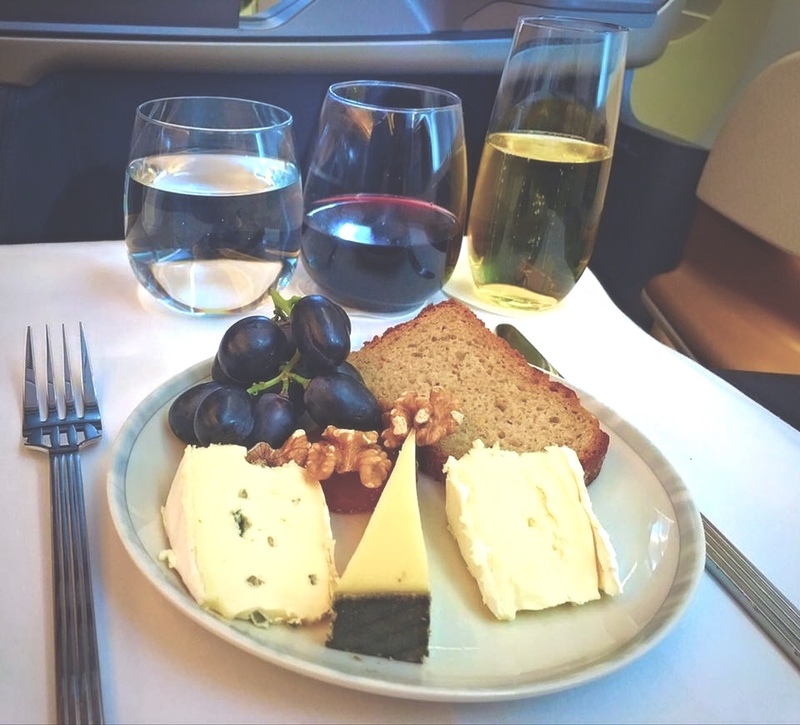 I had the opportunity to go even more gourmet by using the Singapore Airlines’ ‘book the cook’ service, which allows you to pre-order your meal from a menu put together by a panel of world-famous chefs. Yep, life is pretty alright on this flight. Welcome to airline entertainment 2.0. Finally, an intuitive touchscreen handset where I don’t have to bend forward and swipe the screen (I’m lazy like that). The gigantic 18-inch LCD is high-def enough for me not to have to wear my glasses or squint at the screen, bonus. The noise cancelling headphones were a good size for my ears, not that I really needed them considering the plane was so quiet. And the selection of movies is large, with around 407 of them, but who’s counting. As a side note: You can link your electronic devices to the screen if you so desire, and charge them with the 2 USB ports and universal power-point located in one of the compartments. Extra connectivity comes with the in-flight Wi-Fi which is patchy at best, so I wouldn’t bother purchasing it for the hefty US $21 price tag. All in all, the Singapore Airlines Business Class from Singapore to Stockholm lives up to its reputation. I am now officially a fangirl. Usually, an airlines’ business class hones in on one or two of the above and makes them amazing. 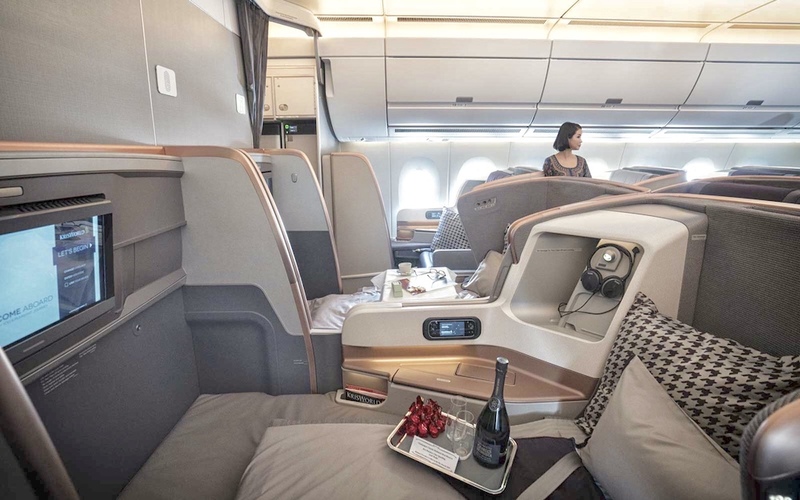 Singapore Airlines are consistently good with each facet of the Business Class experience. It’s hard to imagine it being done that much better! 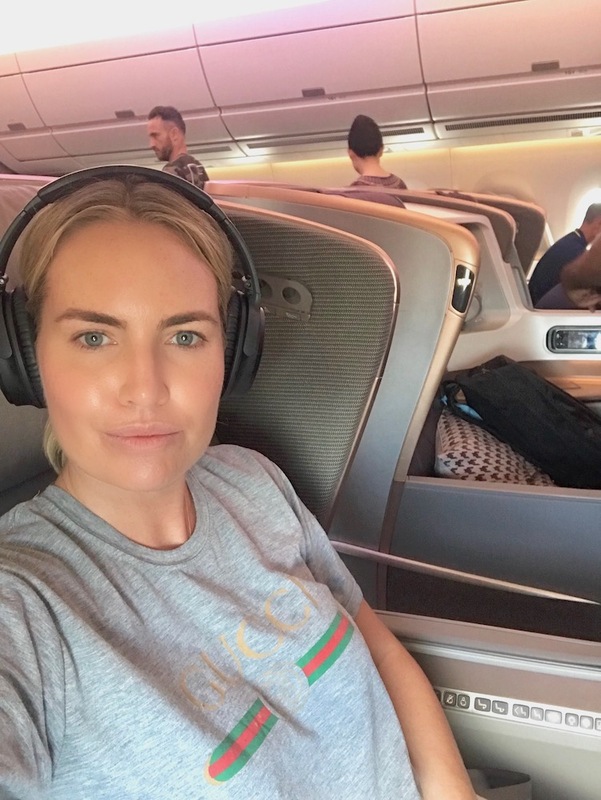 Stefanie was a guest of Singapore Airlines Business Class and Visit Stockholm in November 2018. All opinions are her own.